Beautiful All Brick 4 BR 3.5 BA, attached Patio Home in popular Landings at Oldefield Commons, This wonderful home features a LG Great Room w/ cathedral ceilings, crown mold, archways & built-in bookcases. 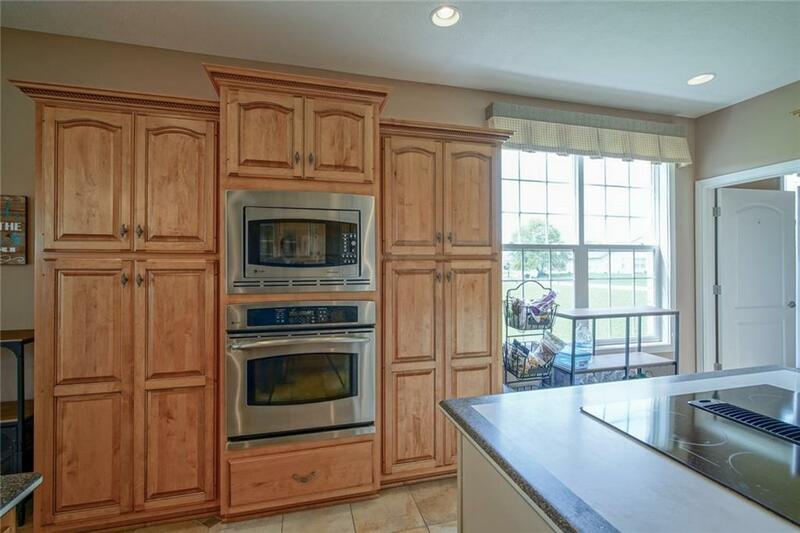 Warm kitchen offers open concept w/ custom cabinetry, large counter space, center island, breakfast bar, and double pantry. Split bedroom layout with a Lg Master Suite that offers plenty of privacy, double sinks, large custom walk-in closet, garden tub and separate shower. Private office space w/double glass panel doors, Full finished walk-out basement. Excellent for entertaining or workout space. 2 bedrooms w/ full bath. Plenty of privacy for guests. Enjoy summer evenings with LG screened in porch and patio space for grilling!! The Greenwood Indiana home for sale located at 1143 Wyndham Way Greenwood Indiana 46142 has MLS® #21588539 can be viewed on the reddoorindy.com website. This property has the following amenities: 4 bedrooms 4.00 bathrooms	3,778 sq.ft. and a list price of $299,999. The Red Door website allows customers to view the greater Indianapolis real estate market and to search Indianapolis MLS® listings including homes, condos, townhomes, or patio houses. This real estate listing with an address of 1143 Wyndham Way Greenwood IN 46142 with MLS 21170411 is a part of the greater Indianapolis MLS® system. This home has been on the market for 250 days the The Landings At Oldefield neighborhood in Greenwood within Johnson. I was searching for a Property and found this listing (MLS® #21588539). Please send me more information regarding 1143 Wyndham Way, Greenwood, IN, 46142. Thank you! I'd like to request a showing of 1143 Wyndham Way, Greenwood, IN, 46142 (MLS® #21588539). Thank you!